The Middletown Community Pool is looking for Lifeguards, Front Gate Workers, and Snack Bar Attendants who are self-motivated, dependable, and friendly with excellent customer service skills for the 2019 season. This will be seasonal work from Memorial Day weekend through Labor Day weekend. We are looking for individuals who have flexibility in their scheduling and can work shifts that may include afternoons, evenings, weekends, and holidays. Previous experience is a plus, but not required. Applications may be mailed to Borough Secretary, 60 West Emaus Street, Middletown, PA 17057 or sent electronically to JOBS@middletownborough.com. Applicant information will be kept confidential. Applications are due by April 12, 2019. 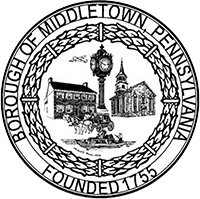 The Borough of Middletown is accepting applications for temporary, seasonal employees to perform various maintenance activities in the Public Works Department during the months of May and September 2019. This employment shall be forty (40) hours per week at a rate of pay of $12.00 per hour. Applications may be submitted via email at jobs@middletownborough.com or by mail to Greg Wilsbach, Public Works Director, 60 W. Emaus Street, Middletown, PA not later than April 12, 2019. Middletown Borough, Dauphin County, Pennsylvania is looking for a Highway Property Maintenance Worker 2. This is a full-time, non-exempt position in the Public Works Department with an hourly pay rate of $22.08. General job responsibilities include performing work on borough-owned streets and properties, operate certain types of machinery utilized in such activities as well as performing other duties when needed under the direction of the Director of Public Works or his assigned representative. Applicants must be a high school graduate or hold a GED and must hold a valid PA Class B CDL driver’s license and have working skills in carpentry, masonry, painting, plumbing and machine repairs. Must have the ability to perform manual labor and use shovels, picks and similar equipment used in manual labor operations. A minimum of 3-5 years progressive experience at municipal highway and property maintenance preferred. Applications may be mailed to Greg Wilsbach, Public Works Director, 60 West Emaus Street, Middletown, PA 17057 or sent electronically to JOBS@middletownborough.com. Applicant information will be kept confidential. Applications are due by April 12, 2019.